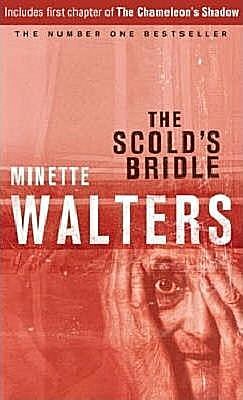 Today, I thought I would take a look at several covers of one of Minette Walters' mysteries, The Scold's Bridle, but first I have to tell you an anecdote that I find a bit funny now. 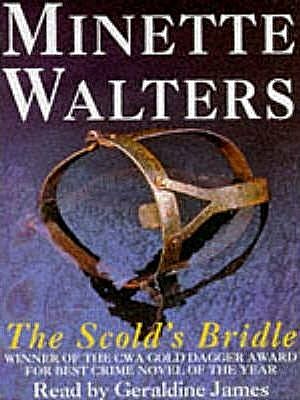 A scold's bridle was an instrument of punishment, as a form of torture and public humiliation. The device was an iron muzzle in an iron framework that enclosed the head. A bridle-bit (or curb-plate), about 2 inches long and 1 inch broad, projected into the mouth and pressed down on top of the tongue. Naturally, this form of punishment was for women, because-- heaven knows-- men never gossip, grumble, or complain. 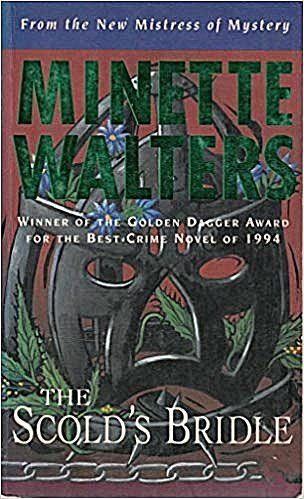 When I discovered what the item was, it made me so mad that I never wanted to read Walters' book, even though it was an award winner. As you can see, I never overreact! 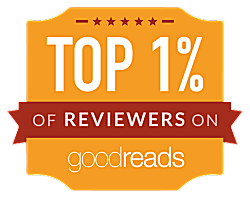 *cough* Will I read it now? 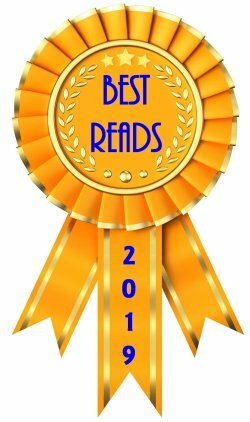 It's possible, but with the current state of my to-be-read shelves, it's unlikely. You want to know something else? 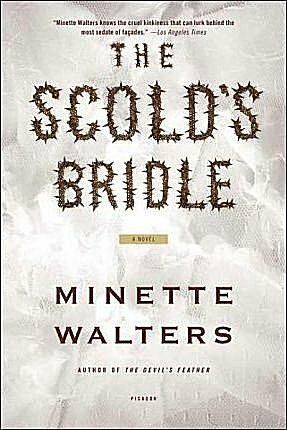 The idea of a scold's bridle still makes steam pour out of my ears... but I digress. 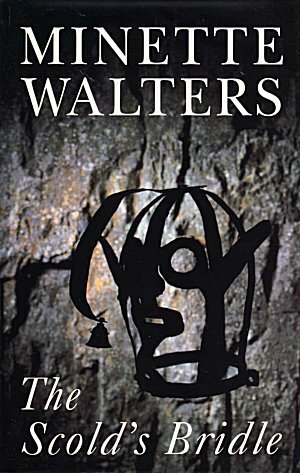 Let's take a look at some of the covers that were devised for this book with the interesting title. UK. Looks like a Halloween cover to me! UK. Creepy! Looks like it's hanging on the wall of the dungeon. 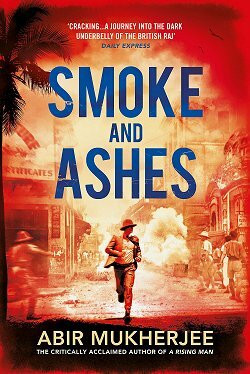 Now... as your eyes rambled down the row of book covers, did you notice anything in particular? (Besides the fact that none of them are particularly pretty.) 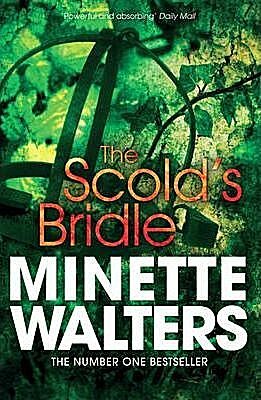 I have a feeling that some of you saw the same thing I did: the covers for The Scold's Bridle editions published in the US and Australia have nary a bridle on 'em, while every single one of the UK covers does. What does this mean? I would imagine it all boils down to ignorance. 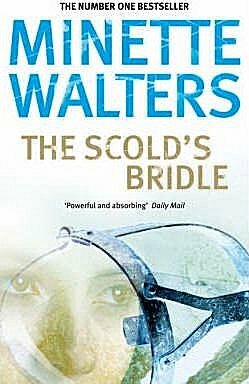 Although I think the Puritans made use of the things, most Americans aren't going to have a clue what a scold's bridle is, and from the looks of things, publishers didn't think the Australians would either. I'm not sure what this says about the British! 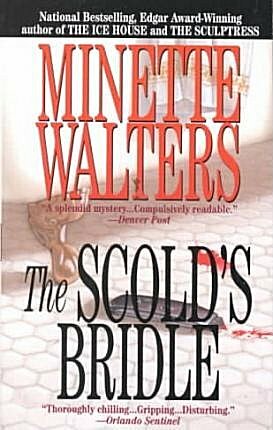 Which covers do you prefer-- with bridle, or without? Or neither one? Inquiring minds would love to know! 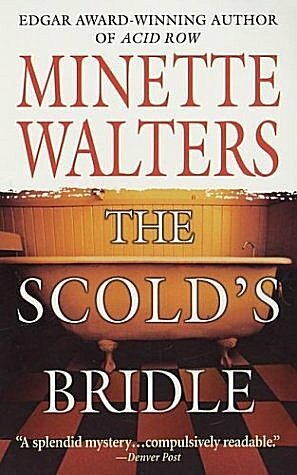 Hmmm...I haven't read this book either and I'm not sure I knew what a 'scold's bridle' was. Now I do. I agree with the 'steam out the ears' reaction. 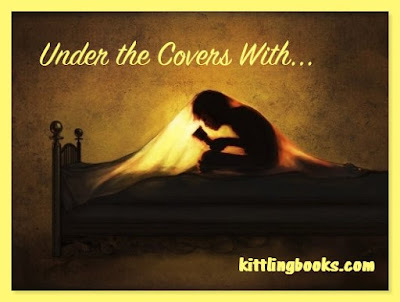 As to covers, I'm not sure either about US/Australia vs. UK. 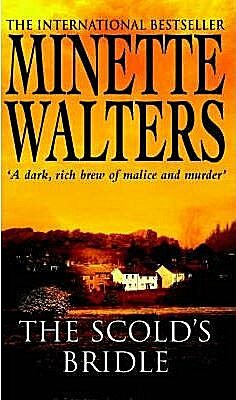 I do think that often the British covers and books seem to be a little more graphic in some ways or it seems so at times these days. Maybe they are less squeamish? Who knows? Your idea of ignorance of the device is probably the best one. The Puritans and those types certainly had devices too. And who can forget a big read 'A' on your chest? I'm glad we've moved forward from those times, although I think the "public humiliation and chastisement" still exists. It's just more insidious. 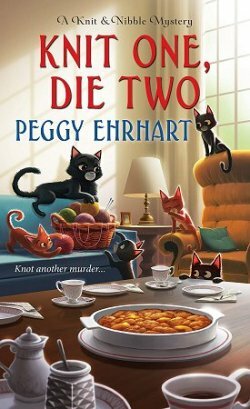 I am now so angry reading your commentary that I can't judge the covers. And yes, backward attitudes still exist. See the Senate Judiciary Committee on sexual misconduct. Absolutely medieval. And another factoid is that instruments like this were also used on enslaved people in the South. I learned this from Toni Morrison's Pulitzer-prize winning book "Beloved." The human race doesn't stand a chance until we ALL stop teaching our children hate and fear. Yes, and that some people are lesser than others and don't deserve to be treated with respect. People have to teach their children to respect people of all nationalities, genders, religions, cultures, etc. Yes, one follows the other.